Last night I headed over to Salem's Wallace Marine Park for a night shoot and came back with these Autumn shots of the Union Street Railroad Pedestrian Bridge. 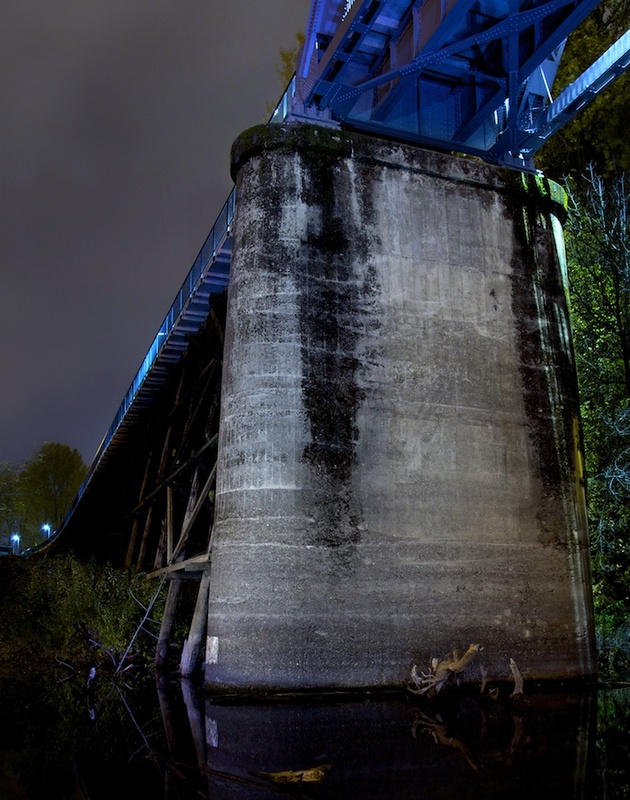 Union Street Railroad Bridge, Salem, Oregon. Union Street Railroad Bridge Piling. As a little bonus on the way home I snagged this grungy industrial setting... Safety Is No Accident!